Recent studies have shown that human saliva is a bodily fluid with very promising diagnostic and prognostic applications. Saliva is indeed a very attractive bodily fluid for the diagnostics of diseases for many reasons: i) collection of saliva is usually economical, "safe", "easy" and can be performed without the help of health care workers (it allows for home-based sampling); ii) it is considered an acceptable and non-invasive process by patients because it does not provoke any pain (and so can be easily collected for patients in the paediatric age range). iii) the analysis of saliva can provide information on the patient status; iv) it can be substitutive and complementary to that achievable by the analysis of other bodily fluids, such as plasma, serum and urine. More than ten years ago in the laboratories of the Istituto di Biochimica e Biochimica Clinica dell'Università Cattolica started a multi-disciplinary study (in collaboration with many other national and international research institutions) for the characterization of the proteins present in human saliva. This study allowed the identification of more than 200 salivary proteins and derivatives in the classes of acidic and basic proline-rich proteins, histatins, statherin, S-type cystatins, stefins, α-defensins, β-thymosins, β-cornifins as well as different members of the S100 family. 1)	Hypophosphorylation in a subset of patients with autistic spectrum disorder. 2)	Decrease of statherin level in pre-cancerous and cancerous lesions of the oral cavity. 3)	Significative and specific alterations in primary and secondary Sjögren's syndrome. 4)	Alterations of the proteolytic pathway and different level of specific proteins in type 1 diabetic patients. Therefore, these preliminary observations suggest that human saliva can be a relevant source of protein biomarkers useful for diagnostic and prognostic purposes of different pathologies and its sequelae, characterized by high sensitivity and specificity (i.e., good prediction of the patients with the disease and normal values in healthy subjects). Furthermore, the specific variations observed are/could be interesting clues for a better understanding of the molecular basis of disease addressing towards appropriate therapies. 1)	To characterize further protein and derivatives detectable in human saliva. 2)	To investigate the age related composition variability, exploring saliva in the pediatric age. b)	Schizofrenia and other bipolar disorders. The pivotal method to reach the aim is a standardized HPLC-ESI-MS analysis of different samples utilizing a so called top-down proteomic approach, i.e. the investigation of the naturally occurring intact salivary proteome. This analysis will be followed by more sophisticated characterization of various proteins and derivatives after their purification by preparative chromatography. They are high resolution HPLC-ESI-MS/MS analysis, chemical treatment of the purified protein such as automated Edman sequencing, de-blocking of N-terminal acetyl group, reduction, and enzymatic treatment such as phosphatase treatment and proteolytic digestions. All these procedures will be assisted by high- and low-resolution HPLC-ESI-MS and MS/MS and by MALDI-TOF-MS.
Quantitative comparative analysis of any characterized protein will be carried out, utilizing extracted ion procedures, on HPLC-ESI-MS profiles of different salivary specimens provided by different clinical unities involved in this study. Samples of patients with the above described pathologies will be compared with an equivalent number of samples of healthy subjects, matched for age and gender. Results obtained on the entire set of more than 200 protein components will be evaluated with proper statistical methods in order to evidence significant variations. Potential biomarkers will be validated for their possible clinical use. Fast analyses, such as immunological analyses, will be developed for the transfer to clinical utilization. The clues provided by this investigation will be a stimulus for further more focalized researches devoted to establish the functional significance of the variation observed. It is a long range project, started about ten years ago. The aims above described could be reached in a period of about three years. 1° November 2011- December 2012: further characterization of the human salivary proteome with the top-down approach previously described. Investigation of the salivary phospho- and glyco-proteome. 2012: evaluations of the physiological variations. June 2012-31 October 2013: evaluations of the potential variations existing in the diseases above described. January 2013-31October 2013: validation of the results. Collaborators: Chiara Fanali, Federica Iavarone, Federica Vincenzoni, Diana Valeria Rossetti, Cinzia Callà, Claudia Desiderio, Alberto Vitali, Maria Patamia. - Samples of patients affected by Sjögren syndrome and other rheumatic diseases: Ist. di Reumatologia Univ. Cattolica (Prof. Gianfranco Ferraccioli, Giusy Peluso, Silvia Bosello). - Down's syndrome, type 1 diabetics: Dip. di Scienze Odontostomatologiche - Cagliari Univ. (Dott. Elisabetta Pisano). - Patients with autistic spectrum disorder, X-fragile syndrome: Ist. 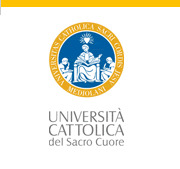 di Genetica - Catholic Univ. (Prof. Giovanni Neri, Fiorella Gurrieri and Maria Giulia Torrioli). - Saliva from patients under radio- and chemio-therapies - Ist. di Odontostomatologia - Catholic Univ. (Prof. Massimo Cordaro). The study protocol and written consent forms were approved by the Medical Ethics Committee of the Faculty of Medicine of the Catholic University of Rome on 10/06/2008 and by the Pediatric Department Ethics Committee (according to the instructions of the Declaration of Helsinki). Full written consent forms will be obtained from adult donors and from the parents of the newborns and all rules will be respected. The Nando Peretti Foundation has awarded a grant for this project to achieve the development of new biomarkers of different pathologies useful for diagnostic and prognostic purposes. Another aim is the characterization of the molecular modifications at the basis of different diseases which can address towards the comprehension of the etiology and the sequelae of the pathology and the development of proper therapies. The research is carried out at the research laboratories of the Institute of Biochemistry and Clinical Biochemistry of the Faculty of Medicine of the Catholic University in Rome, in collaborations with various national and international research institutions. The structures of the Research Center located upon the Biological Institutes of the Faculty allow the management of all the research plan.